BioSole-GEL professional foot orthotics are uniquely engineered with a bladder, filled with viscoelastic gel and polyurethane foam, which dynamically shapes to the contours of the foot, providing customized support and alleviating pain off your foot, all the way up your knees and low-back. Gel padding along with a trampoline design works wonders to relieve heel-pain, and cushion your foot every step you make. Polyester mesh lining provides a soft, friction free surface that wicks away perspiration. 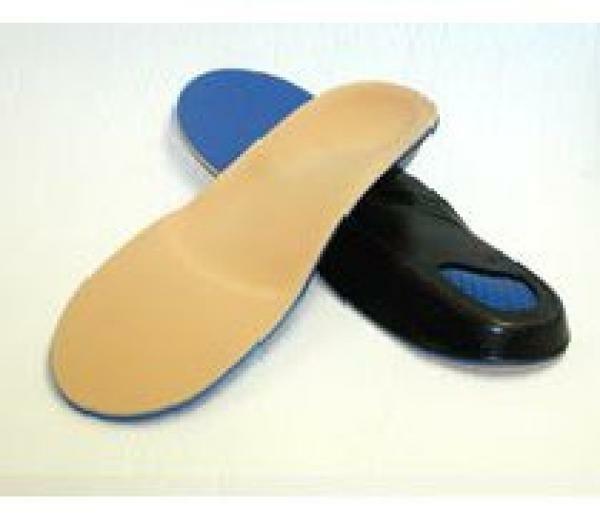 The result: superior foot orthotic that maximizes comfort from heel to toe. 3/16? Thick at the forefoot (toes). Women?s Sizes: 5 to 12 (in full sizes). Men?s Sizes: 7 to 14 (in full sizes). Orthofeet Men's Biosole-gel Soft Insoles The Orthofeet Men's Biosole-gel Sport Insoles are excellent. The Biosole-gel Soft Insoles do not have quaility. I recommend using the Biosole-gel Sport Insoles in all of the pairs of shoes that you own.